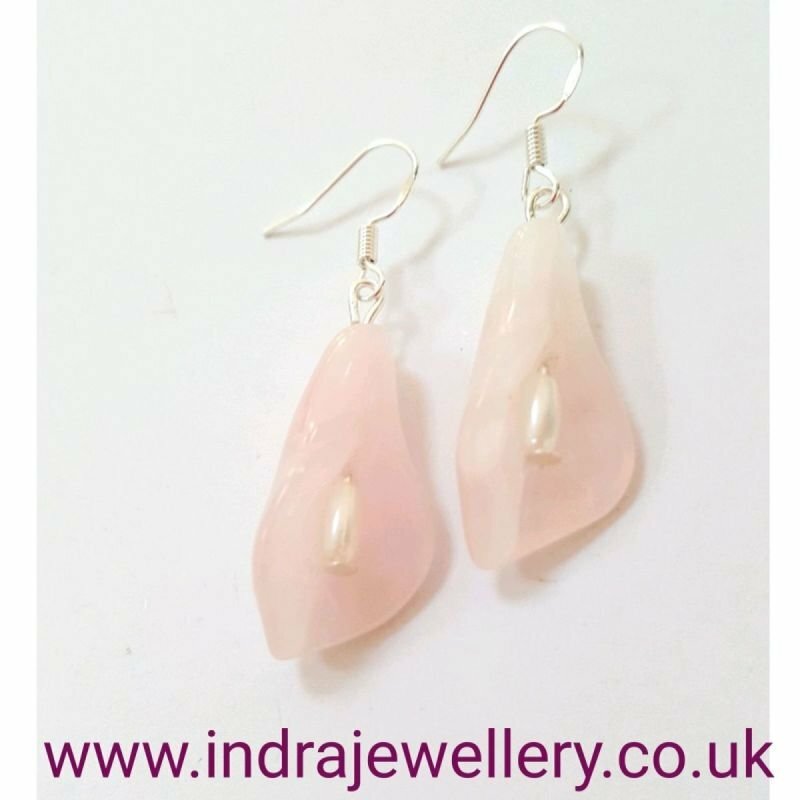 This is a pair of very pretty rose quartz gemstone earrings. The rose quartz has been carved to form lillies and I have added some little rice faux pearls and attached to 925 silver hypoallergenic hooks. I have added a penny in the second picture to give an idea of size. The fair and lovely Rose Quartz, with its gentle pink essence, is a stone of the heart, a Crystal of Unconditional Love. It carries a soft feminine energy of compassion and peace, tenderness and healing, nourishment and comfort, therefore, the flower form is perfect for this gemstone.